Great display for your register or computer. This unit really will tie a showroom together. Features adjustable rear storage for tools and store essentials. 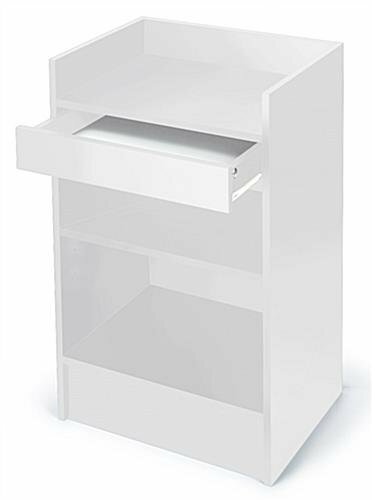 Try matching this unit up with a sales counter to create a great working / check out area. Measurements are 38"h x 18"d x 24"l. Comes in color of your choice. Creates a great modern look!